What happens when the time comes to move your baby into your toddler’s room? How do you make sure the older sibling does not wake up when you are in the process of helping your little one sleep through the night? This is not an easy transition when sleep training, but a doable one with patience. There is no magic pixie dust to sprinkle around the room to make sure they will get the same uninterrupted sleep as when they had the room to themselves. Although I do not use a cry-it-out approach to sleep training, there will be some crying involved. Having a baby in your home will include crying, not just at bedtime, as you are very well aware. You can expect the older child to wake at some point when sleep training a baby in the same room. You need to ask yourself the question, “Is it worth having a slight interruption in a child’s sleep pattern for a week or two so that the whole family gets back the sleep they have missed?” Do you want to continue the nightly wake-ups for a few more years instead? When putting the question this way, the answer becomes easy. The next step, once deciding to proceed with the move is to figure out how to make the transition as smooth as possible without disrupting your toddler too much. Here are a few tips to help in the process. It is best to start the sleep training in your room with the baby in a bassinet. By hanging a curtain or blanket between the bassinet and your bed, you can separate the room. Although you won’t be awarded the most stylish room, it will stop the baby from seeing you, which is an essential step in sleep training. As he/she learns some sleep skills and can fall asleep on their own, you can move them into the other room. Be prepared for some resistance from both siblings. Anytime there is a change in a routine, bedtime can be challenging. It is best to plan the move for a weekend, or at some point when there are not as many obligations for you to meet. Remember to explain to the older child what is happening and reassure them you will take care of the baby when he/she wakes up in the night. The better understanding they have of the new arrangement, the less disturbed they will be about their new roommate. Naptime is a different scenario altogether, and my recommendation is to have the children in separate rooms. Naptime is the most challenging part of the sleep program, so it is best to accommodate the situation so both children get the best sleep. One last thought: if you have an extra bedroom, I suggest you utilize the space as a bedroom for your baby. Although sleep training with two children in a room isn’t impossible, it can be challenging. The added stress is not always worth having a guest room to be used only a few times a year. If you do have an overnight guest, you can move the child into the other for the short amount of time your guests will be staying. Are you ready to help your family get the sleep they need? 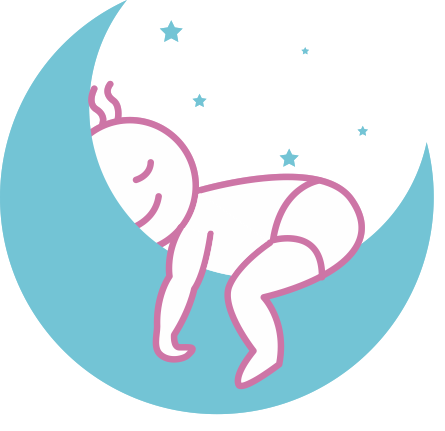 Through email and phone support, I will create a sleep plan customized for your family to help your child learn skills to sleep through the night. Contact me today at 415.691.1298.